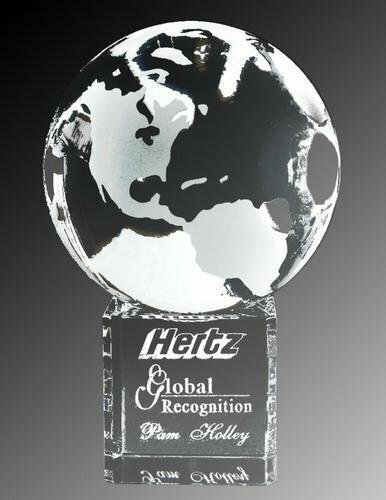 The World Globe & Pedestal award is perfect for your company which may have employees world wide. This piece has a nice engraving surface that is perfect for your companies logo and multiple lines of texts. This piece includes a foam gift/presentation box at no extra charge.